2015 Mazda MX-5 Press Kit (6.4MB PDF). When the All-New Mazda MX-5 arrives mid-August, buyers can expect a new look, more technology and a car that has shed plenty of the weight that previous models gained since MX-5 launched at the Chicago Auto Show in 1989. 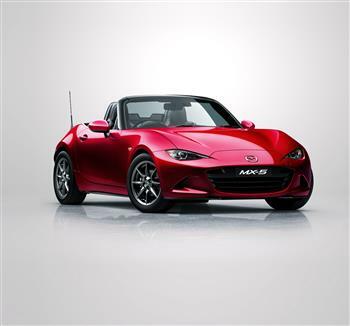 In its first update since the fourth generation launched in 2015, the MX-5 has been refined to deepen the sensation of Jinba-ittai and enhance the sports car's iconic fun factor.